POWERMAN 5000 New Album Release Date, Pre-Order and First Single! 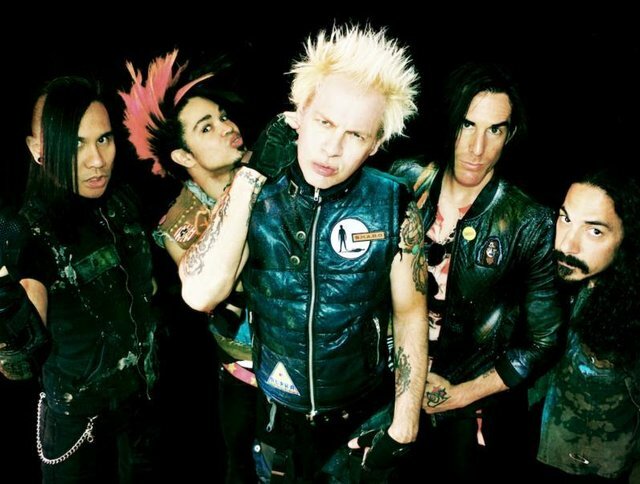 Powerman 5000 have inked a worldwide deal with Pavement Entertainment. The new album "New Wave" marks the next chapter in the world of PM5K and the follow up to 2014's highly successful "Builders of the Future." In addition to the iTunes pre-order, Pavement Entertainment will launch a special Powerman 5000 New Wave Bundle. The bundle will include a hand-signed copy of the album, as well as an exclusive PM5K limited edition t-shirt. Supplies are limited to 500 and are available only with the pre-order bundle. The track is one you’ll want to put on repeat, assuredly becoming an anthem for twisted love, mayhem, and rock and roll anarchy. It will leave everyone who hears it singing along to its unapologetic refrain, “You're a mess! Sid Vicious in a dress!” Keeping true to the very spirit of Sid himself, Powerman 5000 once again delivers an album on their own terms. New Wave available worldwide October 27, 2017.